ADU stands for Accessory Dwelling Unit, and is sometimes known by the terms “granny flat” or “mother-in-law” apartment. See our ADU slide show to learn more about the history and background of ADU’s. An ADU is a small living unit that can be added to a single family home, either detached or attached, provided that the home owner resides on the property and all other zoning, size and design regulations are met. See our Accessory Dwelling Unit Brochure to help you know if an ADU is for you, and what the regulations are. Why Do We Allow ADUs in Golden? Many other communities, including Arvada and Grand Junction, have adopted ADU ordinances to provide their citizens with an additional housing option to help address senior housing, “boomerang” kids, and other housing needs. Provide a housing option that is more affordable, especially for single people. Offer an option that supports special family needs (such as care for a family member who also desires independence). Allow extra income for young families, by helping to offset the cost of a home in their desired neighborhood. Check your zoning using EzMaps to see if ADU’s are allowed in your zone district. 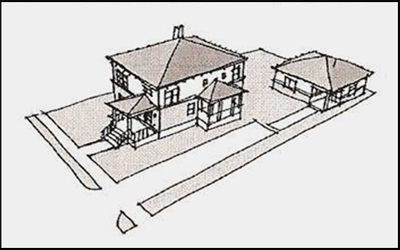 ADU’s are allowed in conjunction with all single-household detached dwellings in residential zone-districts. (R-E, R-1, R-1A, R-2, R-3). *Lots that are less than 7000 square feet but greater than 5000 can be administratively approved by consulting the Planning Division. For lots less than 5000 square feet, if the applicant is able to obtain a variance with the Planning Division, an ADU may be allowed. ADU’s must follow the same design criteria as the principal structure on that lot. Visit our Zoning Regulations page for more on City of Golden zoning information, or refer to our Zoning Information sheet . Download our Accessory Dwelling Unit Brochure for information on regulations. This information is all taken from Section 18.28.240 of the Municipal Code. There are additional guidelines to consider for R-2 and R-3 districts , addressing issues such as how to comply if your lot is undersized. Any additional unit will require a residential allocation application . Sometimes, basement finishes or addition designs that raise the issue of creating a new dwelling unintentionally come through the Planning Division and Building Division. Building components that trigger the discussion of making the space into a legal Accessory Dwelling Unit are things such as a stove top and kitchen in tandem with a full bathroom and bedroom. If these components are part of a design, it triggers full compliance with ADU regulations and the signing of the ADU Deed Restriction . If you intend to design in this manner, adding anything except a stove top is allowed within the existing unit, but you are then required to sign a Declaration of Use to be kept on file with the City of Golden. This agreement would state that you do not intend to lease out or separate your new living space from the existing residence. As always, feel free to call the Planning Division with further questions at 303-384-8097.